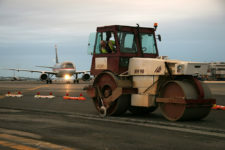 Named in honour of former president Ronald Reagan, the airport is situated three miles south of the central business district of Washington DC in Arlington County, Virginia. 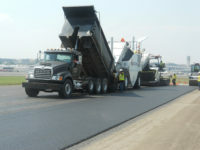 It is strategically important due to its close location to all three branches of the US federal government as well as 174 foreign embassies and the headquarters of many international bodies including the World Bank and the International Monetary Fund (IMF). 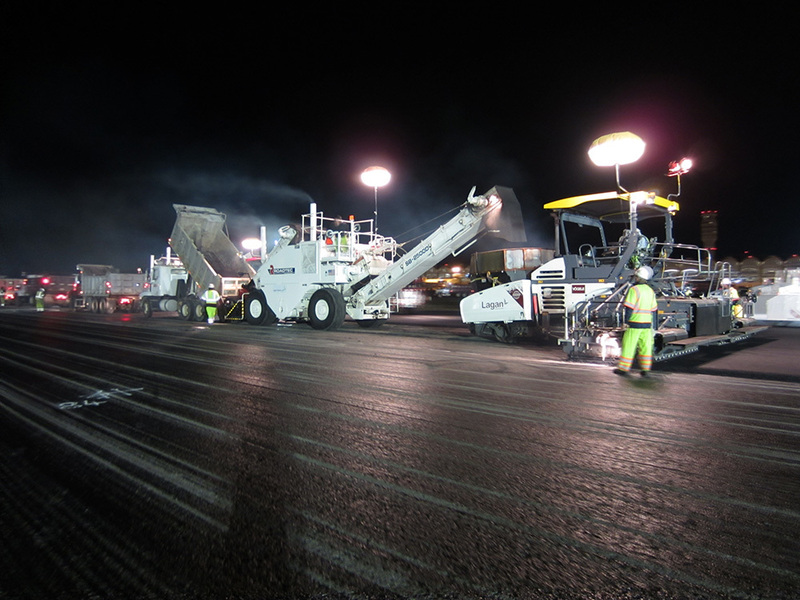 Under this contract, our US Airports team undertook resurfacing of the main runway 01-19, taxiways and intersections including the replacement of the centre line and touch down zone (TDZ) lighting. 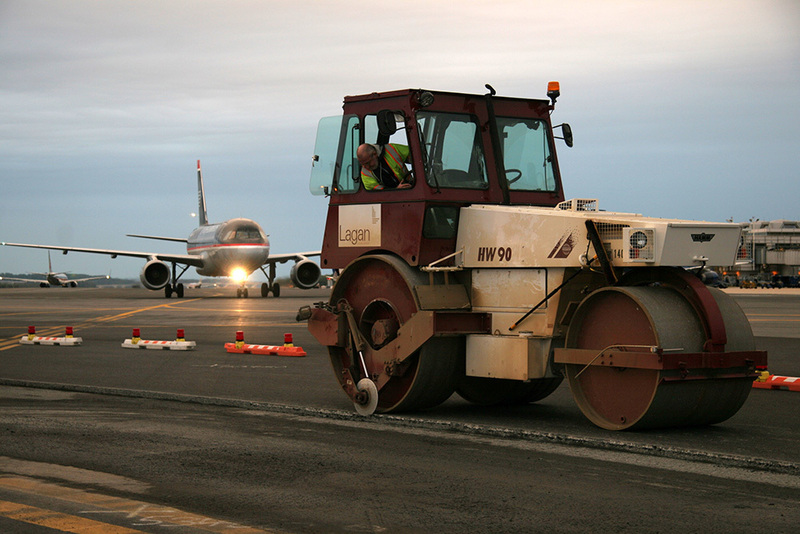 The works also involved significant earthworks, soil erosion control measures and the relocation of communication cables and access roads at the north end runway safety area. Some 55,000 tonnes of Marshall Asphalt was milled out and replaced and 270,000 sq m of performance planning was undertaken. 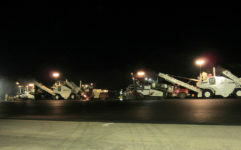 Asphalt was placed using two 25 foot wide pavers laying in tandem at an average rate of 300-400 tons per hour. 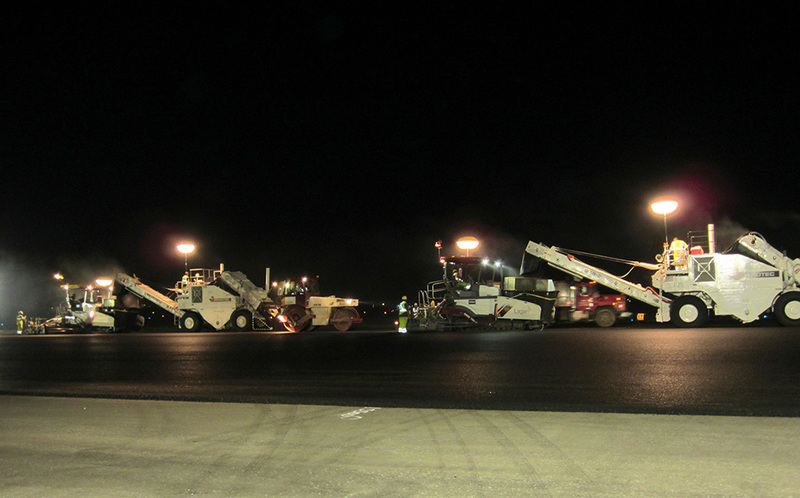 The works were performed during limited night-time possessions to enable the runway to be reopened each morning.